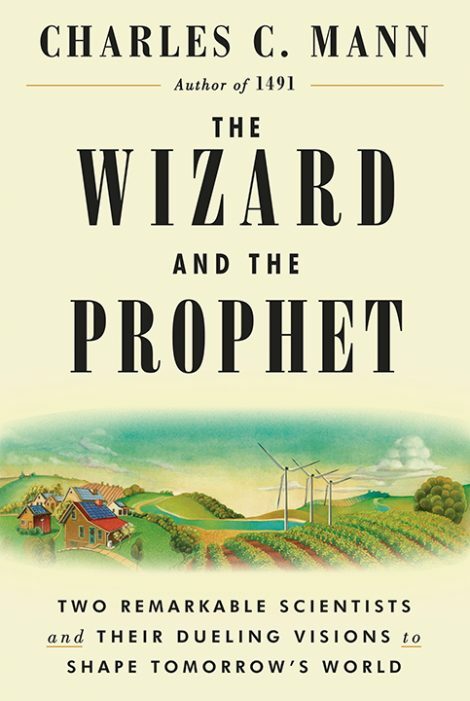 From the best-selling, award-winning author of 1491 and 1493, an incisive portrait of the two little-known twentieth-century scientists, Norman Borlaug and William Vogt, whose diametrically opposed views shaped our ideas about the environment, laying the groundwork for how people in the twenty-first century will choose to live in tomorrow’s world. Q: The population of the earth is rapidly expanding; many estimate it will be 10 billion people by 2050. Your book asks the most essential question of our time: How can humanity continue to thrive throughout the next century with over 10 billion of us competing for the same resources? Do you believe that humanity is capable of finding and implementing solutions—and averting a potential planetary crisis? A: Not only will there be almost 10 billion people in 2050, a whole lot of them will be middle-class. They’ll want all the things we middle-class people do—cars, air-conditioning, nice shoes, occasional treats. (I always think of Toblerone chocolate—at one point I was going to call the book, Toblerone for Ten Billion. Oddly, my editor vetoed that idea.) Nobody knows yet how to supply all the things that those future people will want. Actually, that’s only part of the question. The full question is: Can we provide these things without wrecking much else? Humankind is certainly capable of solving this question. The question is whether we will do it. Simply feeding 10 billion people—most of whom, again, will be middle-class—will require huge and probably wrenching social and economic changes. Will we make them? On that, the jury is out—and will stay out for decades. And then, suddenly, in a few decades of the nineteenth century, slavery stopped almost entirely. Slavery still exists; the International Labor Organization estimates that almost 25 million people are still forced to work as captives. But in no society anywhere is slavery a legally protected institution—part of the social fabric—as it was throughout the world not so long ago. Q: What fascinated you about Borlaug and Vogt, two men whose ideas were incredibly important, but who remain relatively unknown (even among those who today follow in their intellectual footsteps)? Why do you dub them “Wizards” and “Prophets”? 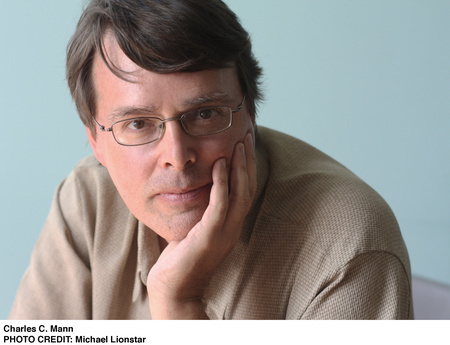 A: I began thinking about this book on the day, nineteen years ago, when my daughter was born. As I was standing in the hospital parking lot, it suddenly occurred to me that when my baby was my age there would be almost 10 billion in the world. I thought: How is that going to work? In the years after, I took advantage of journalistic assignments to ask experts—experts in agriculture, water, energy, you name it—how we would make our way in the world of 10 billion. After a while, I realized I kept hearing two names. They were two people I’d then never heard of (I think), but they seemed to have set how people approach these issues. Why “Wizards” and “Prophets”? Well, “Vogtian” and “Borlaugian” sound like alien species in Star Trek (“Come to the transporter room, Spock, I have to meet the Vogtian trade delegation”). When I mentioned this issue to one of the people I was talking with, the writer Stewart Brand, he said, “Call them Engineers and Druids.” Engineers like Borlaug, grinding away to make things; Druids like Vogt, prophesizing doom unless we change our lives. When I presented this idea to my editor, he said, “Nobody will know what a Druid is.” Indignant, I went to a Barnes & Noble and asked a clerk to look up a (fictitious) book called The Druid. He said, “What’s a Druid?” Another friend, the writer Cullen Murphy, said, “Make it Wizards and Prophets.” I did. A: The clash between Vogtians and Borlaugians is heated because it is less about facts than about values. Although the two men rarely acknowledged it, their arguments were founded on implicit moral and spiritual visions: ideas of the world and humankind’s place in it. Prophets look at the world as finite, and people as constrained by their environment. Wizards see possibilities as inexhaustible, and humans as wily managers of the world. One views growth and development as the lot and blessing of our species; others regard stability and preservation as our future and our goal. Vogt believed that ecological research has revealed our planet’s inescapable limits, and how to live within them. Borlaug believed that science could show us how to surpass what would be barriers for other species. Particularly important, the two sides have two different ideas of liberty. Wizards think that people are independent individuals who are most free when they have maximal choice—they can reinvent themselves endlessly, breaking through all barriers. Prophets think humans are by nature social and biological beings, and true freedom lies in recognizing and celebrating our essential character, as creatures bound into a community, as a species in a web of other species. In one way or another, these ideas have been battling each other since at least the fifteenth century. Nobody has ever been able to reconcile them. It’s not surprising to me that Wizards and Prophets don’t get along. Q: Of the four oncoming challenges you discuss (water, food, energy, climate change), which is the one our society will have the most trouble battling? A: In a way, the challenge that worries me most is water. It turns out that even though most of Earth is covered with water, the amount of fresh, drinkable water is amazingly small, and we are abusing it. Once you melt glaciers and contaminate aquifers (giant underground stores of water), you’re in trouble—we have no idea how to fix the problems. Q: Are there companies doing particularly interesting and cutting-edge work addressing some of these problems? What are some of the most surprising potential solutions you came across during your research? A: Lots of people are doing good things. But I rarely single out any particular company or agency because it seems to me that any individual effort can fail. What’s important is that there are a bunch of people trying different approaches. Q: You’ve been reporting on climate issues for a long time—what inspired the particular approach you take in this book? A: This isn’t really a “climate book.” There’s a chapter about climate, but the book is actually about how people approach a broad range of future challenges. The four big ones, it seems to me, are food, water, energy, and climate change. Of these, climate change is odd man out. Everybody wants food, water, and energy. Climate change is a byproduct of getting them, one that must be avoided. If we make a big effort and produce enough food for the 10 billion, the reward is obvious. If we make a big effort and avoid the worst effects of climate change, the reward is that we get to go on as before—nothing much happens. Q: Tell us the truth. Are we doomed? A: Doomed in the sense of fated to destroy ourselves? That question is one of the inspirations for this book, actually.